As an overly-passionate mother of two, young, energetic fur-babies, my approach to fashionable home design usually consists of high hopes, hours of research, a brief moment of happiness, and the inevitable, soul-crushing disappointment of permanent scratches, scuffs, and stains. For pet owners, parents, and accident-prone people (like myself), luxury is often a losing battle, quality is a constant gamble, and durability is unequivocally decided by your dog’s aggressive dental habits. And what valuable element of home design is most frequently exposed to the elements of day-to-day life? Your floors. That’s where Mohawk comes in. Specializing in stain-and-scratch resistant flooring, Mohawk features an impressive selection of premium carpet, hardwood, custom laminate, and vinyl options that are built to withstand life’s messiest moments. 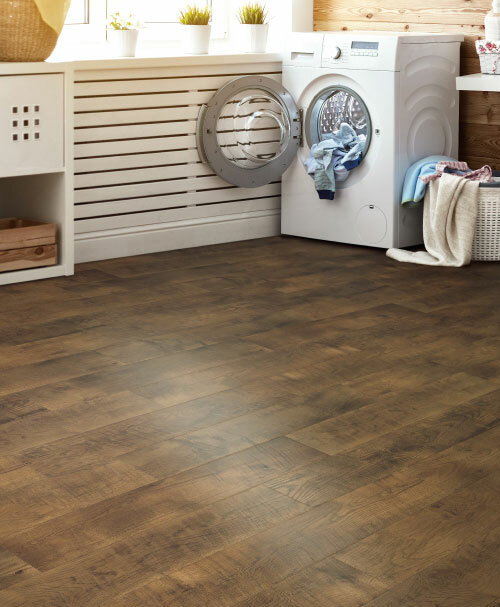 Their newest line of life-friendly flooring, RevWood Plus, promises a winning combination of sophisticated style, variety of design, and built-in surface protection so every “whoops!” is worry-free. What is RevWood? 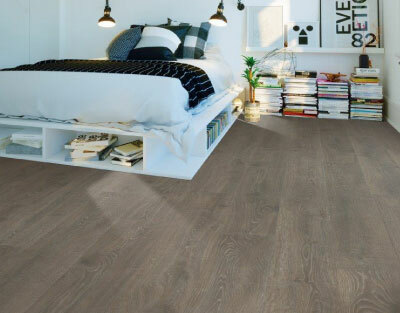 Long story short, it’s a hybrid that pairs the beauty, elegance, and warmth of traditional hardwood flooring, with the durability and strength of laminate. 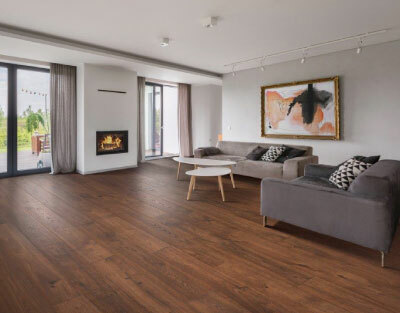 With its textured surface and one-of-a-kind finishing options, RevWood Plus flooring is indistinguishable from true hardwood, introducing a luxury foundation of style, quality, and function to any space. 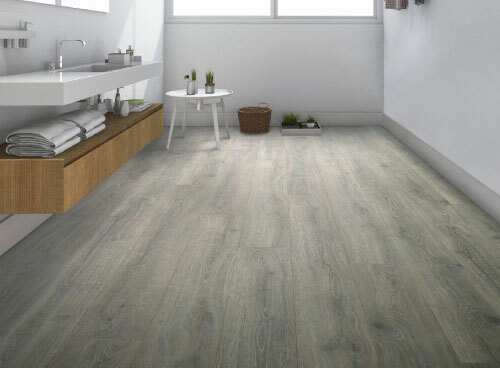 For families with young children, active households, pet owners, or even those just searching for a livable flooring solution that lasts, RevWood Plus offers a budget-friendly option and the best surface-saving technology on the market. That’s right, proof, not resistant. 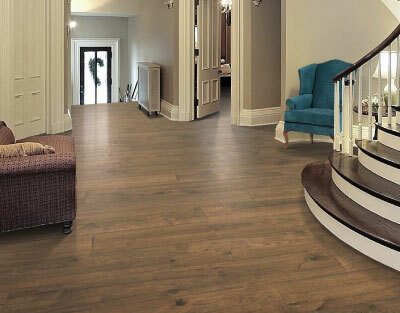 RevWood Plus uses a three-level defense system to seal your floors, watertight. With quick, easy cleaning, and care-free spills, you can forget about water damage to your floors—for good. Heels, cleats, or claws, this floor can take a hit and holds up against any of life’s drops, stomps, and scuffs. Pet parents, rejoice! This is why we can have nice things. All RevWood Plus flooring is covered by Mohawk’s exclusive All Pet Plus protection warrantee—all pets and all accidents are covered, all the time. So you don’t have to worry about losing the look you love. RevWood Plus is built to last—and look really good while doing it. Boasting a collection of distinct colors, textures, and finishes, RevWood Plus promises endless elegance, effortless style, and elevated design. Even better, it’s on sale! Stop by the flooring department at your local Haynes to shop RevWood Plus flooring at reduced prices, or talk to one of our flooring experts to learn more and explore our other protected-surface options. Haynes has become my family’s go-to for quality furniture, and so, in its own way, has become a part of my family. I remember visiting Haynes as a child and playing hide-and-seek among the giant tapestries in the rug department. I remember exploring collections of furniture in new styles, shapes, and sizes. I remember discovering texture and learning to value the tactile experience of a space in addition to its function. And I remember an honest, wide-eyed wonder at the vast, vibrant variety available in the store. Suddenly, furniture wasn’t just essential, it was expressive. Haynes became a place where purpose, personality, imagination, and design were perfectly balanced— and seemingly limitless. My job is to put Haynes under the microscope, and show you the exciting and essential details that you might’ve missed on a walk-through, or overlooked online. 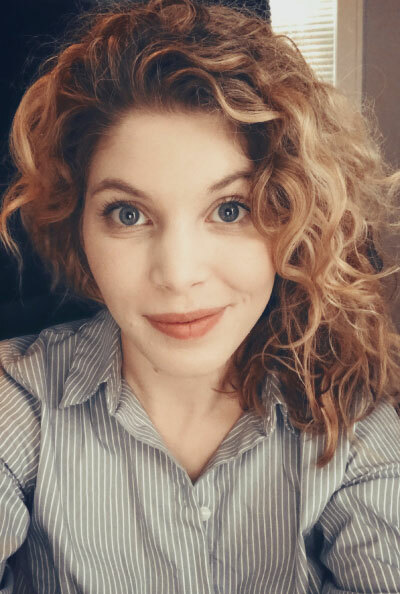 So, enjoy a slight shift in perspective, a little creativity, and some honest enthusiasm as I introduce my personal Haynes favorites and exciting furniture finds!